The Evelyn F. and William L. McKnight Brain Institute of the University of Florida and the UF Institute on Aging are pleased to announce the formation of a newly endowed chair, the Evelyn F. McKnight chair for clinical translational research in cognitive aging and memory. 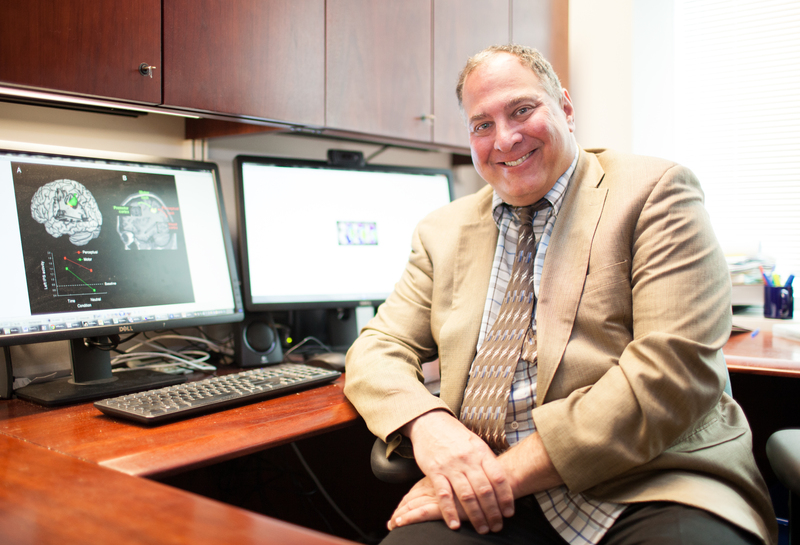 Ronald Cohen, Ph.D., director of the Cognitive Aging and Memory Clinical Translational Research Program or CAM-CTRP, and a professor of aging and geriatric research, neurology and psychiatry, has been named the inaugural endowed chair. Cohen’s chair is funded by an endowment from the McKnight Brain Research Foundation. CAM-CTRP is affiliated with the Age-Related Memory Loss Program, or ARML, of the McKnight Brain Institute, or MBI. Thomas C. Foster, Ph.D., a professor in the department of neuroscience, is the director of ARML and holds the Evelyn F. McKnight chair for research on cognitive aging and memory. This program focuses on the neuroscience of brain aging and memory decline aimed at discoveries that can be translated to new clinical assessment and intervention approaches for cognitive aging. This will help researchers better understand what happens in the brain in the context of normal cognitive aging.